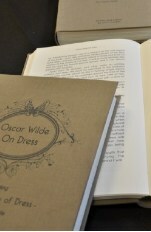 Wilde in fact never visited Japan. 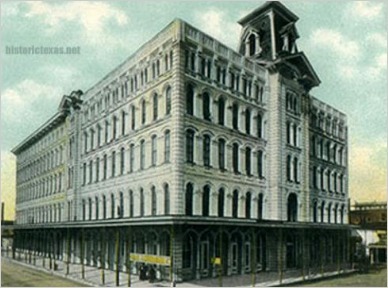 * The second hotel of this name in the city: the first was at Postoffice Street and Tremont; the third is on Ship's Mechanic Row (extant). 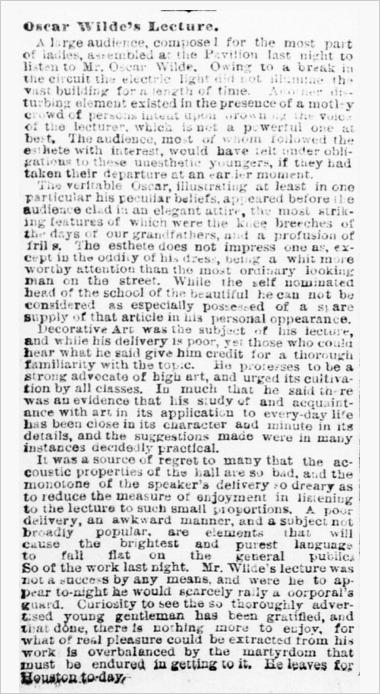 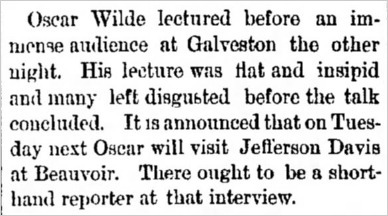 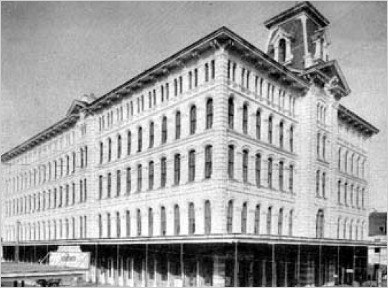 Wilde's lecture venue in Galveston had a short lifetime: it was destroyed by fire less than two and half years after it was built as the state's first building with electric lighting, and just over a year after Wilde lectured there. 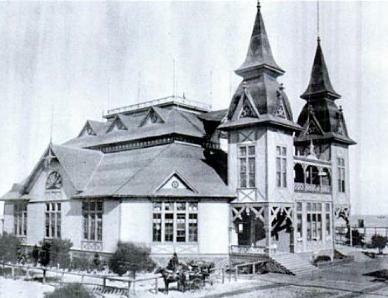 The two photographs of the Pavilion below were taken concurrently. 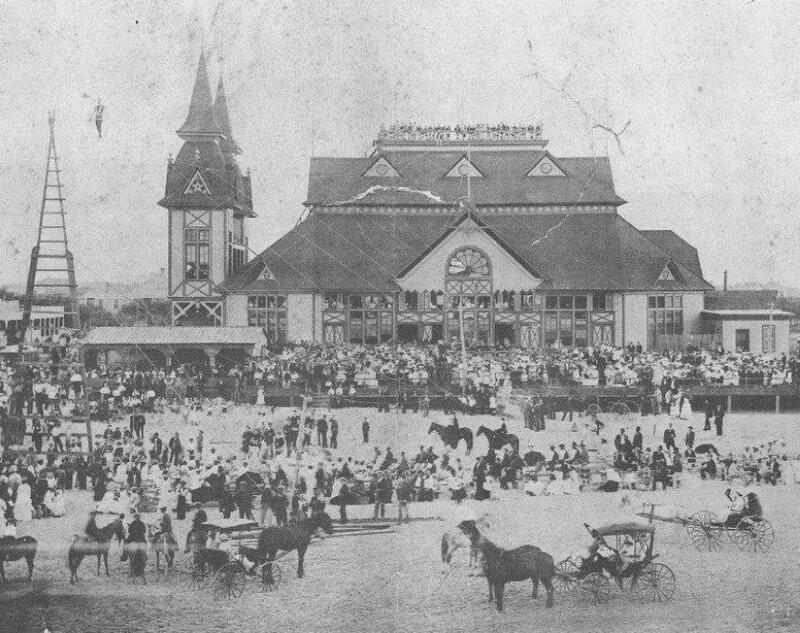 On the left a crowd gathers for a occasion for which a scaffold has been erected on the beach. 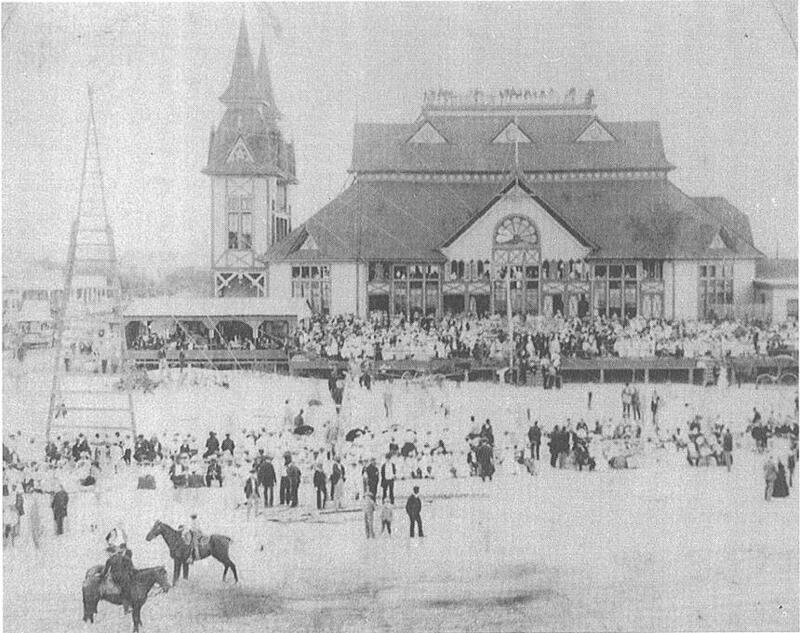 On the right*, presumably later as the crowd has grown, we can see a high-wire performance. 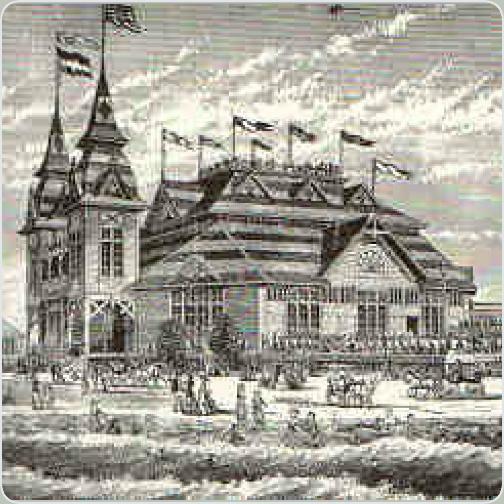 * This photograph is sometimes shown reversed, but the towers of the building were on the left when viewed from the beach. 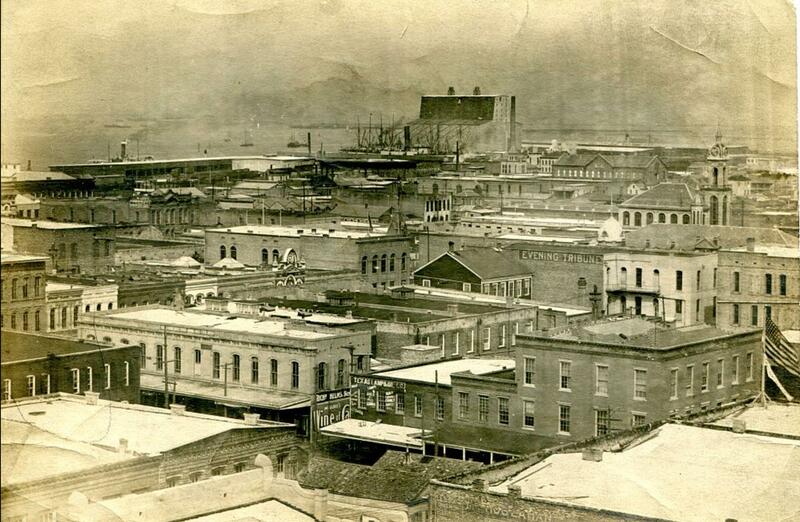 The view northeast from the roof of Wilde's hotel, before 1890.